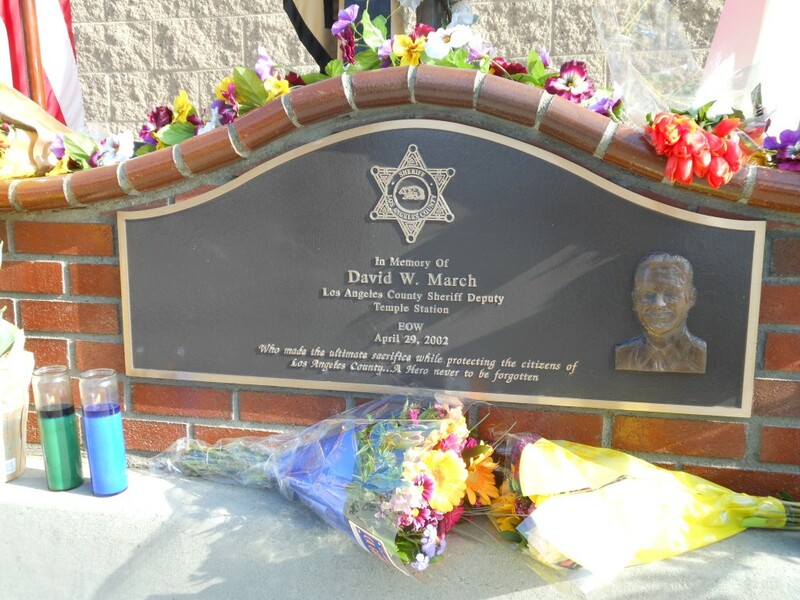 TEMPLE CITY >> More than 52 years after a Los Angeles County sheriff’s deputy lost his life in the line of duty in South El Monte, family members, officials and fellow law enforcement officers gathered to give the fallen lawman an overdue honor with the dedication of a memorial at the sheriff’s Temple Station on Wednesday, authorities said. 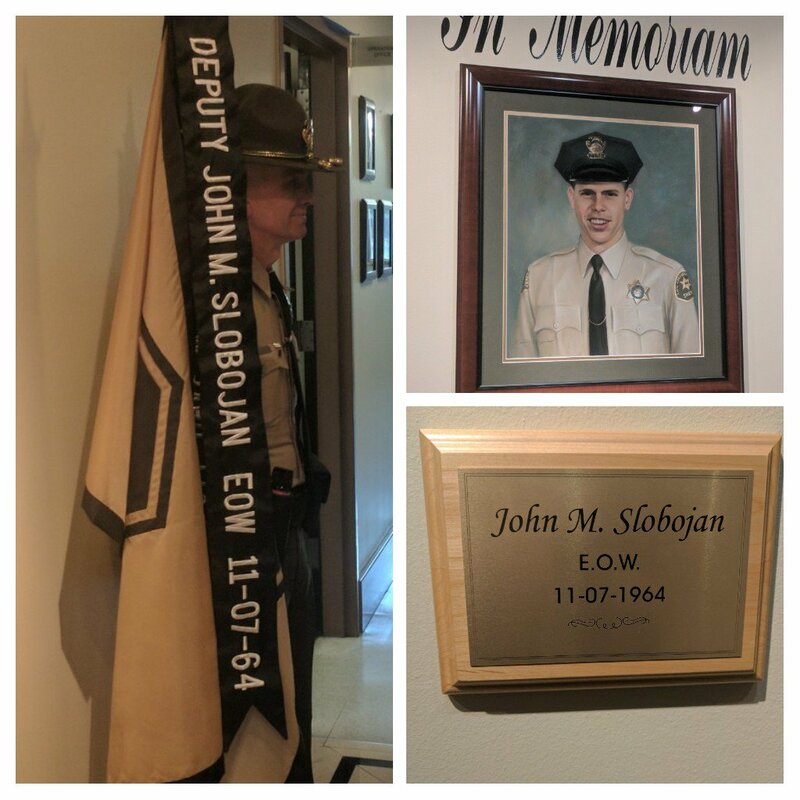 Deputy John M. Slobojan, 31, died on Nov. 7, 1964, after suffering a heart attack while chasing a robbery suspect in South El Monte. “During the chase, Deputy Slobojan collapsed. CPR was administered and he was transported to a local hospital where he was pronounced dead,” according to the Officer Down Memorial Page. He had served as a deputy for five years. But as the decades passed, the story of Deputy Slobojan became lost to history, Capt. 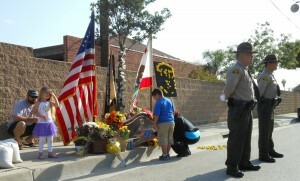 David Flores of the sheriff’s Temple Station said. 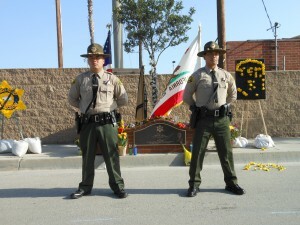 The sheriff’s department has recently embarked on a mission to identify any fallen deputies who may have not been properly honored in the past. “It’s a proactive effort to honor these fallen heroes,” Flores said. In recent months, a Temple Station sergeant learned about Slobojan and began researching the deputy. 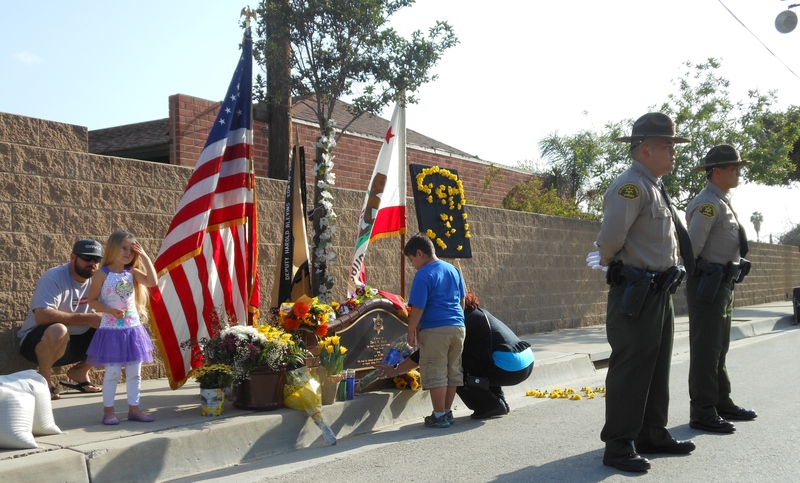 The effort culminated in Wednesday’s ceremony, where Slobojan’s wife, brothers, two sons and daughter joined in unveiling a portrait, plaque and flag to commemorate the deputy, Flores said. 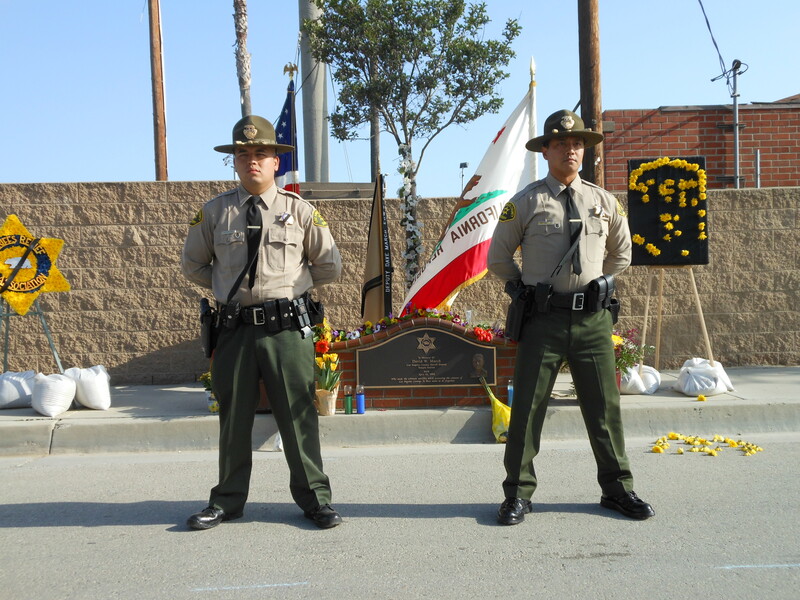 Slobojan’s memorial took its place between those of two other deputies who lost their lives while serving the sheriff’s Temple Station: Deputy Harold Stephen Blevins, who was gunned down on Oct 12, 1957, and Deputy David William March, shot to death on April 29, 2002. TEMPLE CITY >> Three men attacked another man and threatened him with a handgun before robbing him of his wallet in Temple City on Thursday afternoon, authorities said. 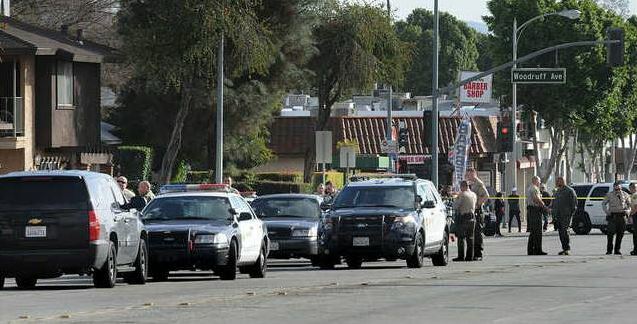 The crime unfolded about 1:55 p.m. at Rosemead Boulevard and Pentland Street, Los Angeles County sheriff’s Lt. John McClure said. A man was approached by three robbers, he said. One of them punched the victim in the stomach, pointed a handgun at his head and demanded his wallet, the lieutenant said. The victim complied, and the robbers fled with his wallet. The victim did not wish to be taken to a hospital. McClure described the gunman as a white man, accompanied by two black men. Sheriff’s radio traffic further described the suspects as a white man in his 40s, wearing white shirt and black pants; a black man in his 20s, bald, with a goatee; and a black man of thin build, wearing a gray shirt and black pants, with tattoos on his right forearm. ARCADIA >> A en elderly Temple City woman who went missing while grocery shopping in Arcadia on Wednesday was found safe and sound on Thursday, polcie said. Juiyun Hu, 79, disappeared about 2 p.m. Wednesday at the Arcadia Supermarket, 645 W. Duarte Road, Arcadia police Lt. Roy Nakamura said. She was grocery shopping with her husband and son when she became separated from them, he said. Her family was unable to find her and reported her missing. A surveillance camera at the store captured video of Hu appearing possibly disoriented as she walked out of the store with a shopping cart. After reaching out to public to seek, Police in Alhambra found and recognized Hu in their city, Sgt. Tony Juarez. She was unharmed and reunited with her family. 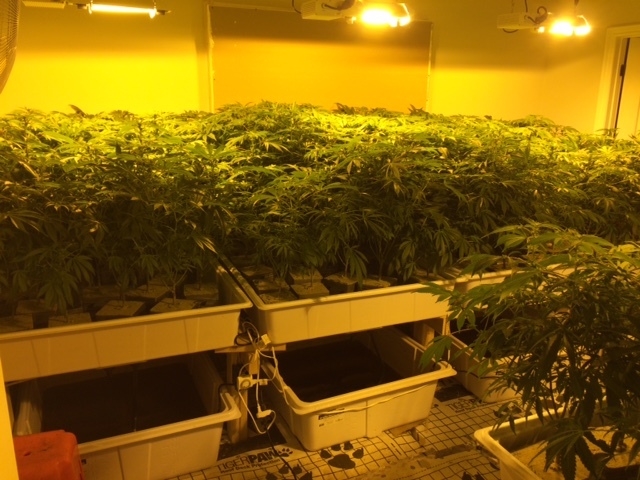 TEMPLE CITY >> Deputies seized about 400 marijuana plants and 15 pounds of harvested pot while carrying out a search warrant at a Temple City home early Thursday, officials said. The bust took place Thursday morning at a home in the 5400 block of McCulloch Avenue, Los Angeles County sheriff’s officials said in a written statement. 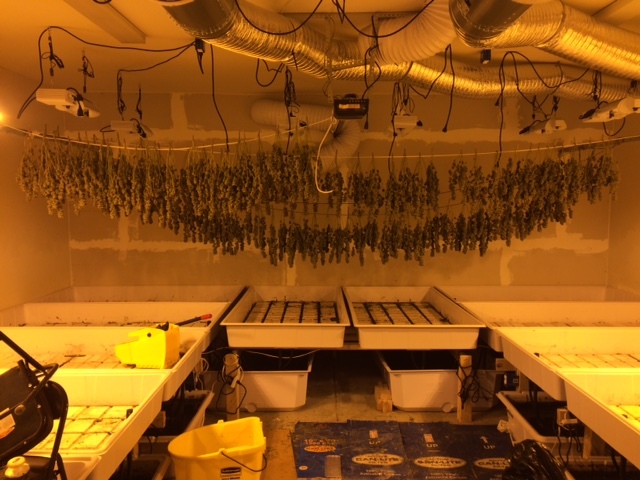 “(Deputies) recovered approximately 400 plants in various stages of growth and approximately 15 pounds of harvested marijuana,” the statement said. The grow operation was complete with lighting, watering and ventilation systems, and the home was rewired to bypass the electrical meter, allowing the farmers to steal their power from Southern California Edison, according to the statement. Officials reported no arrests in connection with the raid. The operation took place one day after police in San Gabriel uprooted nearly 7,000 pot plants from a commercial building in their jurisdiction and arrested two suspects. TEMPLE CITY >> Prosecutors filed murder and other charges against a Temple City man accused of killing a woman with a Samurai sword and stabbing two other people amid a violent crime spree on Wednesday. John Ralph Perales, 44, is accused of murder, three counts of attempted murder and three counts of assault with a deadly weapon in connection with the series of alleged attacks, Los Angeles County District Attorney’s Office spokeswoman Sarah Ardalani said in a written statement. He’s also accused of the special allegation of personal use of weapons during the crimes. He showed up at the home of 44-year-old neighbor Diane Christine Alarcon in the 6000 block of Temple City Boulevard about noon, Los Angeles County sheriff’s Lt. John Corina said. A 42-year-old San Gabriel man, described as a friend of Alarcon’s, was also visiting. “While spending some time there with Alarcon and another male guest, an argument ensued and Perales allegedly struck both Alarcon and the male with a wrench,” according to Ardalani. Perales then grabbed an ornamental samurai-style sword hanging on the wall at the victim’s home and stabbed both Alarcon and her visitor with it, Corina said. Alarcon died at the scene. The wounded man was treated for non-life-threatening injuries. Alarcon’s 10-year-old son was home at the time of the attack, but was unhurt, Corina said. Perales surrendered to deputies as deputies were searching the neighborhood for him, officials said. Hours earlier, detectives and prosecutors allege Perales stabbed his ex-girlfriend and her adult son at their home in the 3400 block of Whistler Avenue in El Monte. He arrived there about 2 a.m., El Monte police Sgt. Richard Luna said. “After spending some time there, Perales allegedly crawled on top of his ex-girlfriend as she was sleeping, woke her up and then stabbed her,” Ardalani said. The woman’s 22-year-old son tried to intervene and was also stabbed and injured. An update on the conditions of the mother and son was not available Friday. 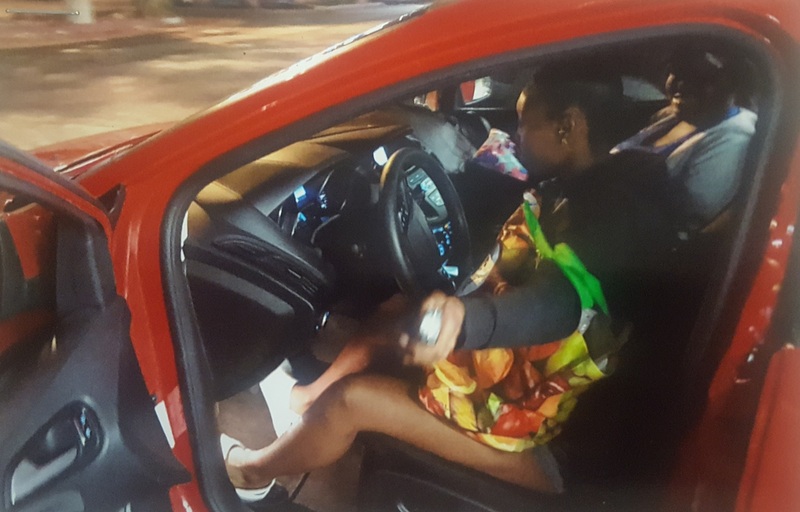 Detectives were also investigating Perales in connection with a Rosemead carjacking that occurred in between the two stabbing incidents, however charges had not been filed for that alleged crime. Perales has a lengthy criminal record including convictions for false imprisonment by violence in 2014; carrying a concealed dirk or dagger in 2011; being a prisoner in possession of a weapon and auto theft in 2001; attempted burglary in 1996; burglary in 1992; and acting as an accessory to a crime after the fact in 1991. He entered no plea in court on Friday. His arraignment hearing was postponed to Feb. 2 in the Pomona branch of Los Angeles County Superior Court, Ardalani said. In the meantime, bail has been set at $6.21 million. If convicted as charged, Perales could face a sentence of life in prison. TEMPLE CITY >> An intruder attacked a woman with a wrench and fatally stabbed with a Samurai sword, also injuring a friend of the victim’s who tried to intervene, before turning himself in to deputies on Wednesday, authorities said. The deadly attack was first reported about 12:05 p.m. at a duplex in the 6000 block of Temple City Boulevard, between Garibaldi and Woodruff avenues, according to Los Angeles County sheriff’s and fire officials. Lt. John Corina of the Los Angeles County Sheriff’s Homicide Bureau said the woman, 40, was at home with a friend, described as a 42-year-old San Gabriel man, when the attacker barged in through the unlocked front door. He attacked the woman with a wrench detectives believed he had brought with him to the home, the lieutenant said. The killer then grabbed an ornamental Samurai-style sword that was hanging on the wall and used it to continue the attack, Corina said. “(The friend) sees what’s going on. He tries to stop him,” Corina said. The friend ended up receiving non-life-threatening wounds of his own before the attacker fled from the home. The injured friend was expected to be released from the hospital later Wednesday. The woman’s 10-year-old son was also inside the home at the time of the attack, but was unhurt, Corina said. As deputies conducted a search of the neighborhood, the suspect approached deputies and surrendered himself, according to the lieutenant. The 44-year-old man, who lived nearby, was taken into custody without a struggle. His identity was not available pending booking. The identity of the woman killed in the attack was also unavailable pending positive identification by coroner’s officials and notification of family members. The relationship between the suspect and victims was unclear, and the motive in the double-stabbing was yet to be determined, Corina said. Both the wrench and the sword believed to have been used in the attack were recovered at the scene. LA PUENTE >> For the third year running, La Puente has been named one of the 50 safest cities in California by security organization Safe Wise. The city earned the 48th spot on the SafeWise Report’s 50 Safest Cities in California list for 2016. “Besides its enviably low crime rate, what caught our attention about La Puente is the way it cares for its children,” SafeWise said in a written statement. City Manager David Carmany said the designation “validated we are on the right track,” but said the majority of credit belongs to the city’s partners at the Los Angels County Sheriff’s Department, as well as city staff. Six other San Gabriel Valley cities made the list of California’s top 50 safest cities. Sierra Madre ranked 9th safest city in California, Walnut ranked 20th, Temple City ranked 38th, Diamond Bar ranked 42nd, Chino Hills ranked 47th and La Mirada ranked 49th. TEMPLE CITY >> Firefighters made quick work of a fire in a residential garage that may have been sparked by the spontaneous combustion of varnish-soaked rags, authorities said. 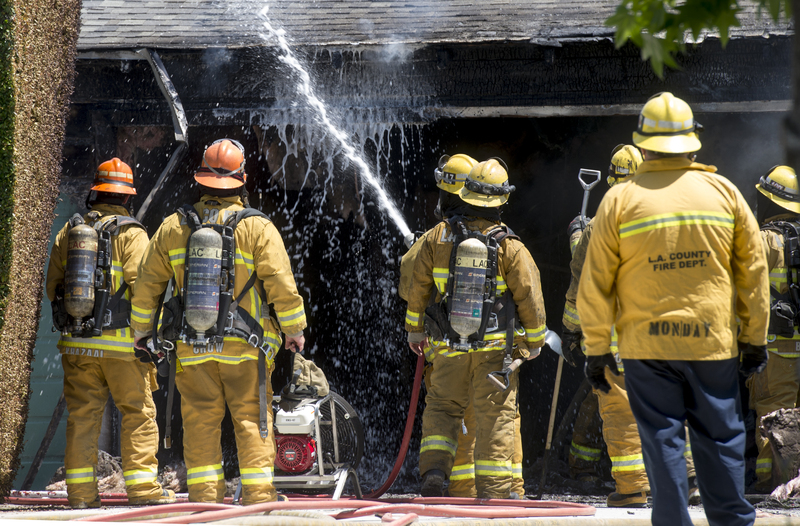 The fire was reported just before 12:15 p.m. in a detached residential garage in the 5200 block of Halifax Road, Los Angeles County Fire Department Capt. Nick Yslas said. Firefighters arrived within minutes, and declared the flames “knocked down” about 10 minutes after that, he said. No one was home at the time, he said. One firefighter was hospitalized with heat exhaustion, the captain said. The injury was considered minor. The officials cause of the fire remained under investigation, Yslas said. But firefighters suspected that varnish-soaked rags, left behind after the residence varnished furniture in the garage, he said. Rags soaked with oil or other chemicals can spontaneously ignite via chemical reaction in a phenomenon known as “pyrolysis,” the captain explained. Officials estimated the fire caused $65,000 worth of damage to the garage and its contents, Yslas said.